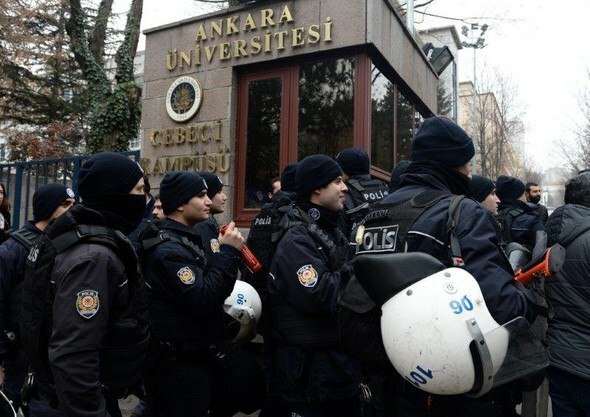 At least 31 people who used to work at Ankara University were detained as part of an investigation into the Gulen movement, on Tuesday. Accused of using ByLock smartphone application, the detainees included academics, lecturers, research assistants and employees who were dismissed or laid off from their jobs in the aftermath of the July 15, 2016 coup attempt. Tens of thousands of civil servants, police officers, businessmen and academics have either been dismissed or arrested for using ByLock since a failed coup attempt last July.